Amazingly tasteful and a light starter. 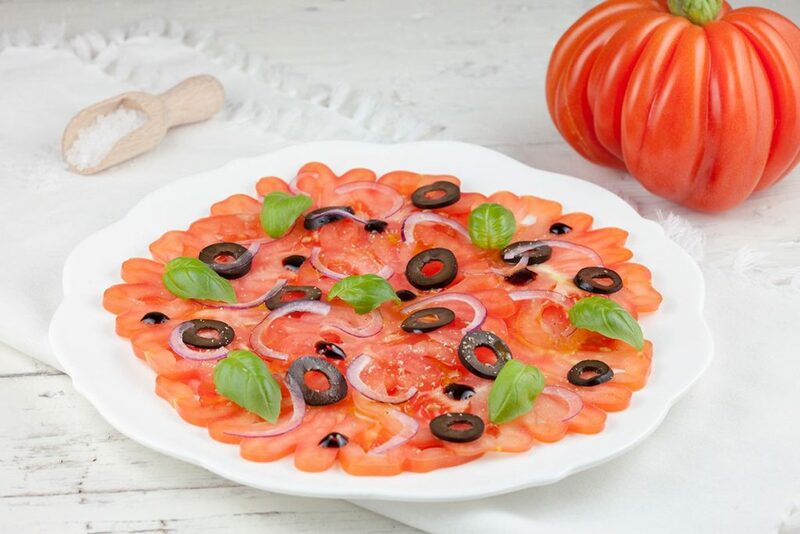 Coeur de boeuf tomato carpaccio with black olives and more. Have you ever had one of these pretty tomatoes?